As I continue on my journey towards becoming a more experienced spinner, I am learning about new-to-me sheep breeds and technical aspects of spinning. 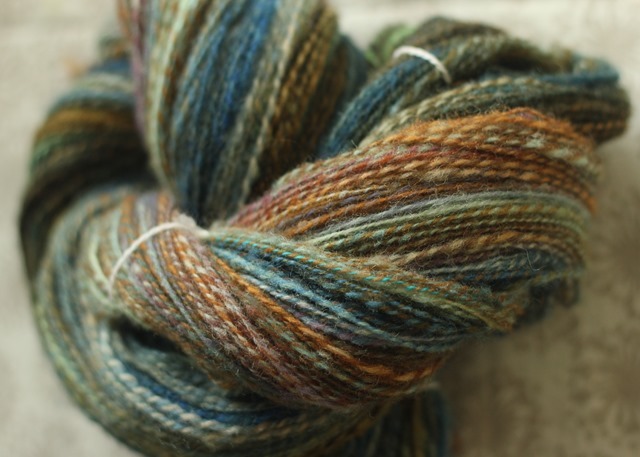 Dorset was the September 2014 Spunky Eclectic Fibre Club, a short-stapled but resilient down wool. Dorset’s staple length is generally 2-3 1/2 inches with a spiral crimp. I had read a long time ago that their fleece is not generally recommended for a beginning spinner. I am assuming this is because the best way to spin Dorset is woolen: A long backwards draw. 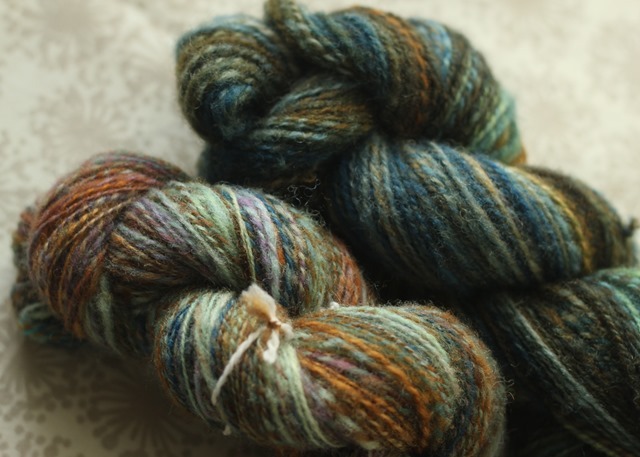 The beauty of being in a fibre club is that the person coordinating the club has no idea whether the members are beginning spinners or not – instead, it is about surprising and challenging her members to spin new things and push everyone out of their comfort zone. In this case, it was definitely out of my fibre comfort zone. 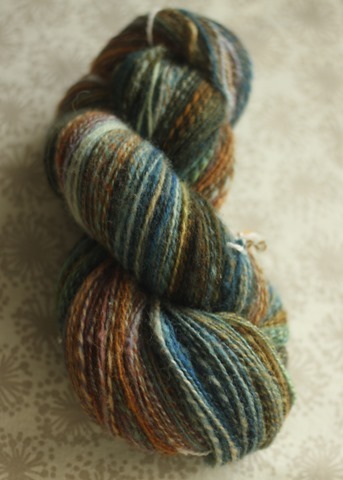 As I had mentioned in Thursday’s WIPs post, I had already spin the first half of this braid during Spinzilla. I wasn’t at all happy with the process although I was really happy with the results. I felt as if I was fighting with the fibre the entire time. Amazing how a few small tweaks can fix all of that, huh? Using Jacey Bogg’s Craftsy class, which I linked to last post, I made those tweaks in my spinning … and what a difference! What exactly did I do? Well, I sped up my hands but kept my treadling the same. I find it easier to make tweaks to my spinning that don’t involve my feet because ultimately, my feet end up going at the same speed after a short amount of time. I also decreased my whorl to a lower ratio (the biggest whorl I had) and let in a small amount of twist at regular intervals, rather than a huge amount all at once. I also only pulled back when I was holding back the twist. Does that make sense? I got into quite a nice rhythm by the time I was finishing the second bobbin which has left me wanting to spin more woollen-ideal fibres. There’s always something new to learn and perfect … and continue learning! Next Post silent night. holy night. 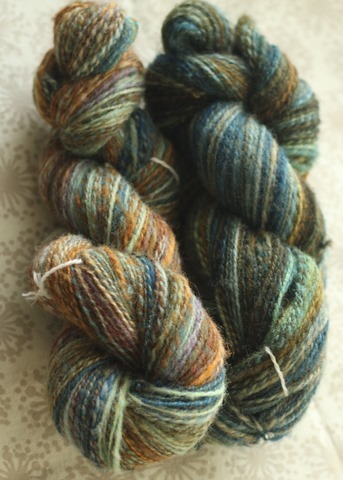 The yarn is gorgeous!!! Oh I am so envious.